The world famous company Bang & Olufsen was founded in 1925 by Peter Bang and Svend Olufsen. They met as students and shared a passion for radio technology. Together they established the company Bang & Olufsen, whose primary aim was to develop a radio that could be supplied with power straight from the grid. Already the next year after the company started B&O’s first product came on the market, and the following year came their first radio with the desired power supply. Although the technology was new and revolutionary, the design mostly resembled a piece of furniture and attracted a considerable amount of criticism for this. Bang & Olufsen took this to them and developed a new style in the design of their products. 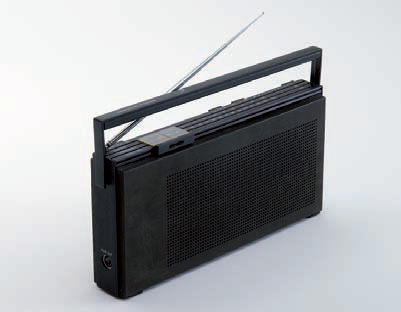 Over the years a range of designers have developed radios for Bang & Olufsen, including Acton Bjørn as well as Sigvard Bernadotte and Jacob Jensen. In addition to Beolit 505 Jacob Jensen also designed the well-known Beolit 400, 500 and 600. The Beolit series became one of B&O’s great sales successes, winning several awards for its design. Jacob Jensen had his own design studio and developed designs for a number of different companies, including General Electrics in the US, who gave him the task of developing the music centre of the future, where cost was to be of no consideration. At this point in time a stereo system looked most of all like something that could fit into a shoebox, but Jacob Jensen worked on a long, flat and elongated design. General Electrics were sent the design proposal, but declined to produce it. On the other hand, Bang & Olufsen enthused when, in 1965, they were presented with precisely the same design, after having approached Jacob Jensen with a wish for a new design. The innovative feature of the 3300 was a multi-functional, swivel control button, which, for instance, could also lift the record player arm onto the record more sensitively than was possible manually. Additionally, the 3300 was fitted with a spring construction that balanced the record player and ensured that vibrations or knocks would not make the arm jump out of the groove and scrape across the record. Jacob Jensen developed around 1,500 different designs for Bang & Olufsen, of which about 80 entered into production. Jacob Jensen’s input is a large part of the reason that B&O’s profile enjoys such wide recognition among the general public. 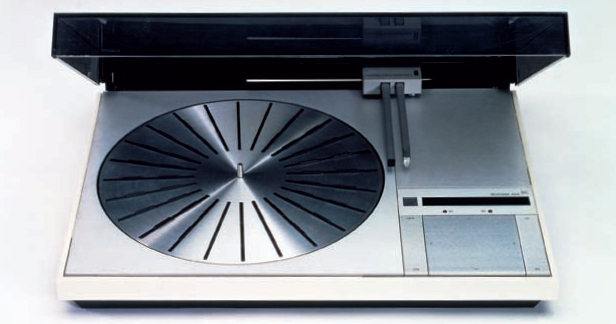 One of the most advanced designs was the record player BeoGram 4000, which rapidly became the absolute best a music lover could own. The design was simple and innovative, and the technology revolutionary. Development of this record player was also unique within electronic design as Jacob Jensen, in collaboration with engineer K.G. Zeuthen, produced a finished prototype that could be entered straight into production. The innovative feature of the record player was the two parallel arms, which started and selected the speed automatically. BeoGram 4000 won countless awards and is one of the many Bang & Olufsen products that today are represented at the Museum of Modern Art in New York. Bang & Olufsen started to develop products using telecommunications technologies. In the mid-1980s they launched their first telephone on the market. The decision was made partly because both B&O’s expertise and its experience within audiovisual media could be applied to this market, but also because a lack of development within the audiovisual sector could impede future technological progress in this area. Lone and Gideon Lindinger-Löwy designed B&O’s first telephone, beoCom 7 0. The design was reused in the later beoCom 1000 and 2000 series, and since has been developed further by other designers. 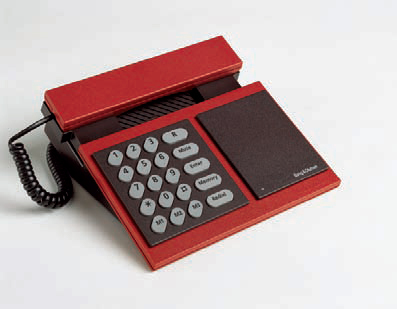 B&O’s telephones became a successful expansion of the company’s product palette with regards to design, sound as well as functionality. During the 1990s Denmark, just as other European countries, experienced a TV boom. B&O’s first television was launched in connection with their anniversary in 1950. The first products to come on the market were just large boxes in form. This brought wide critique, not least from Poul Henningsen, who cursed the random mix of materials and style. Bang & Olufsen again took the criticism to them and some of the leading designers of the time worked with the company in order to contribute with new and modern design. The result became a worldwide reputation for quality products with clean and modern design. 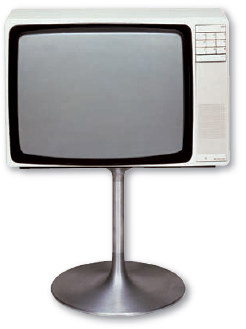 The Beovision 3500 model, technically speaking, represented a revolution in 1970s colour television as it was able to use very little time to warm up, both in relation to sound and picture. Also design-wise it represented a breakthrough as it was produced in white plastic, the fashionable colour of the time, and was equipped either with a trumpet-formed foot or a cross-shaped foot on castors.